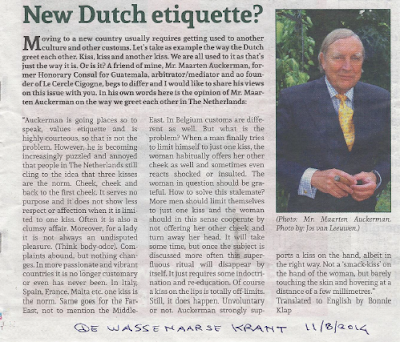 In 1996 the former Master of Ceremonies of H.M. the Queen gave us a lecture about protocol. This was followed by our first assignment, the Franklin D. Roosevelt Four Freedoms Awards. May 12, 2012 we will work for 9th time at the Four Freedoms Awards Ceremony. Read here the 2012 press release. Photo's: (the ushers of the Protocolbureau during) the ceremony in 2010. Dit persbericht in het Nederlands, klik hier. The Roosevelt Stichting, a private foundation dedicated to informing new generations of the ideals and achievements of Franklin and Eleanor Roosevelt, announced today that it has selected Luiz Inácio Lula da Silva, the former president of Brazil, as the winner of the 2012 International Four Freedoms Award. Awards will be presented on May 12, 2012 at a ceremony held in the Nieuwe Kerk (“New Chuch”) in Middelburg,the Netherlands. Representatives of the Roosevelt Stichting along with representatives of the U.S.-based Roosevelt Institute, selected this year’s laureates. Since 1982, the centenary of President Franklin D. Roosevelt’s birth, the Roosevelt Institute and the Roosevelt Stichting have awarded Four Freedoms medals each year to individuals who exemplify the vision of the Four Freedoms that President Roosevelt outlined in his famous January 6, 1941 speech. The laureates are chosen, based on their lifetime commitment to these ideals, which President Roosevelt, described as essential conditions of human liberty. The following are brief descriptions of the accomplishments of each laureate; complete biographies for each are attached. Luiz Inácio Lula da Silva, Union representative andPresident of Brazil from 2003-2010, is honored for his extraordinary work on behalf of the people of Brazil. Lula has demonstrated a lifelong commitment to social and economic justice and worked to help foster a climate of peace and reconciliation among the nations of the world. Lula’s rise from abject poverty to the Presidency of Brazil, and his determination to rid Brazil of the extreme poverty and social injustice that for too long has plagued the less fortunate of his countrymen, has been an inspiration to the world community. Al Jazeera receives the award for its steadfast commitment to freedom of the press and its longstanding efforts to provide independent, impartial news for an international audience and to offer a voice to a diversity of perspectives from under-reported regions. Al Jazeera’s dedication to this most fundamental human right —the right to the free expression and reportage of issues and ideas— exemplifies the meaning and accomplishment of the Four Freedoms. Al Jazeera Satellite Channel started on November 1, 1996 after the BBC closed down its Arabian television station. Al Jazeera English started broadcasting in 2006. Throughout its 15-year existence Al Jazeera's reporters have met resistance; not intimidated by vehement opposition, legal trials, or death threats, they continue reporting the world news with integrity. H.E. Sheikh Ahmed bin Jassim bin Mohamed al-Thani will accept the award on behalf of Al Jazeera. His All Holiness Archbishop Bartholomew I is nominated for his extraordinary efforts on behalf of religious freedom and his dedication to a dialogue of reconciliation among Christians, Muslims and Jews, which he started together with His All Holiness Pope John Paul II. Bartholomew’s lifetime commitment to secure basic religious freedom, not only for the people in his native Turkey, but also for the peoples of central and Eastern Europe, has identified him as one of the outstanding figures on the international scene who is truly dedicated to the meaning and accomplishment of the Four Freedoms. Bartholomew I, also known as the "green Patriarch" gained worldwide respect for his efforts for the environment. Ela Ramesh Bhatt is nominated for her extraordinary efforts on behalf of some of the poorest and most oppressed women in India. Bhatt’s sheer determination and lifetime commitment to secure that most basic of human rights —freedom from want— which led her, the “gentle revolutionary,” to found the Self Employed Women’s Association (SEWA) and the Cooperative Bank of SEWA. SEWA has placed Bhatt at the forefront of those working to help women in India lift themselves out of poverty by creating chances for women to be self-employed, work under justifiable circumstances and therefore enjoy financial independance and self-respect. This year’s Freedom from Fear medal is awarded to Hussain al-Shahristani, Deputy Prime Minister of Energy in the Iraqi government, for his lifelong commitment to democratic values, and his extraordinary efforts to help transform his beloved nation of Iraq into a free, prosperous and stable democracy. After 11 years imprisonment in Abu Ghraib, for his refusal to cooperate in building nuclear weapons and his involvement in "religious activities", al-Shahristani escaped via Iran to Canada. Al-Shahristani’s commitment to secure basic political and religious freedoms for all Iraqis under the rule of law, has not only endeared him to his fellow countrymen, but has also earned him the respect of the international community. Thanks to his steadfast adherence to these fundamental values he gained widespread recognition. For interviews with this year’s laureates and information about the Four Freedoms Awards and the Four Freedoms Events please contact Jo-An Griede at the Roosevelt Stichting, +31 628904279, jh.griede@zeeland.nl or visit the website www.fourfreedoms.nl and use the contactform. 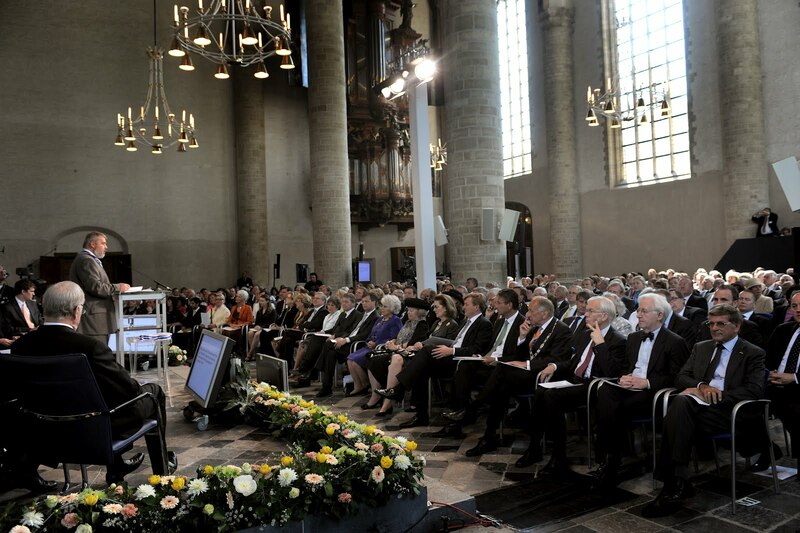 The Roosevelt Stichting of Middelburg, the Netherlands, works with the Roosevelt Institute to organize the annual presentation of the Four Freedoms Awards to emphasize that the struggle for freedom is far from over. The ceremony is a reminder that social engagement and personal efforts are powerful peaceful instruments for the protection of freedom. The event originated in New York in 1950. Since 1982, the centennial of Franklin D. Roosevelt’s birth and the bicentennial of Dutch-American diplomatic relations, the Four Freedoms medals have also been presented in Middelburg, the Netherlands. Among the many exceptional laureates decorated in Middelburg have been H.R.H. Princess Juliana, Olof Palme, Helmut Schmidt, Václav Havel, Jacques Delors, Simon Wiesenthal, Javier Pérez de Cuéllar, the Dalai Lama, Nelson Mandela, Kofi Anan, Mohamed ElBaradei, Richard von Weizsäcker and the European Court of Human Rights. The Protocolbureau was established by students of the The Hague Hotel Management School in 1995. Their motive was the need to gain experience in hospitality up to the highest level. They did so by organizing lectures and working as hosts at (business) meetings. The first lecture was delivered by the former Master of Ceremonies of Her Majesty the Queen, and was followed by the first assignment, the Franklin D. Roosevelt Four Freedoms Awards to H.M. the King of Spain.